Selecting contact center software for your business frequently turns into a complex purchasing decision. It first requires an understanding of the technology and its purpose. However, the decision also demands another input: your company stakeholders. Convincing them is no easy feat. You’ll need to provide detailed information about the technology and its impact on different departments and operations. To deliver it, consider several factors, beginning with whether to host the contact center infrastructure on-site or in the cloud. The following list of nine items will guide you and your stakeholders to the solution that best fits your business. The server’s location should be your first consideration, if only because it’s the most obvious one. On-premise software implementations usually require on-premise servers or a hybrid-computing model. A cloud-based contact center depends on a remote server or a hybrid of public and private infrastructure. The difference seems slight but can be monumental in effect. An on-site server might increase security and privacy, but it could run out of space or demand greater IT support. Cloud-based servers, by contrast, provide a scalable supply of computing and storage. Plus, many cloud vendors employ geographically dispersed servers to reduce computing load, decrease security risks, and increase business continuity. A server’s location naturally affects responsibility. If your business elects to install software on-site, you gain the tasks of server and software upkeep. Upkeep is far from glamorous and can be time-consuming. The duties involve system upgrades, regular management and maintenance, and, in some cases, cooling equipment. A cloud-based contact center, on the other hand, often manages all the backend operations for you. Its provider ensures your software stays in peak condition, usually rolling out upgrades and updates automatically. As a result, your business experiences will rarely include interruptions to daily functions—the best solutions (TCN among them) monitor and test around the clock to maintain uptime and ensure you have what you need to meet SLAs. Server responsibility partially explains why it’s difficult to price on-premise and cloud-based contact center technology on an apples-to-apples basis. First, purchasing a server changes the bottom line drastically, often requiring a large capital expenditure. Second, on-premise solutions generally employ a one-time licensing fee. Additional fees can include on-site installations and expert-only maintenance. A cloud-based solution works differently. It employs a subscription or a-la-carte model, which covers not only the software but also most upgrades and repairs. In addition, it usually features minimal hardware requirements, either up front or over time. In the end, a predictable and less-scalable on-prem solution may help people who are bound to a requirement of a fixed number on their monthly overhead costs. For those looking to reduce costs to the absolute minimum while ensuring scalability (both upward and downward) go with a cloud solution. Custom API integration, seating flexibility, phone number, routing and call distributions have some overlap between on-prem and the cloud. However, the reality is legacy call center technology is well known to be inferior, especially as seats and requirements change. Bundled (but fixed) phone line purchases, archaic routing infrastructure and hard phones are notoriously difficult to manage. 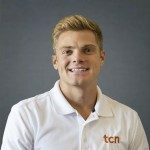 Cloud platforms for contact centers, like TCN’s, were designed after the advent of cloud computing and the establishment of softphones; they enjoy the benefit of today’s well-travelled API demands. In short, when it comes time to deliver on business intelligence, your CEO will thank you for going to the cloud. API integrations also are an important factor because they streamline daily workflows. Instead of logging into multiple applications to get work done, your call center agents log into a single system and check on other applications from there. Some on-premise solutions do offer API capability. However, achieving an optimal integration usually requires employing a knowledgeable developer familiar with the infrastructure of legacy equipment but fresh enough to work with today’s demanding business intelligence platforms. Cloud-based contact center software, however, typically excels with integrations. Their providers know you use a variety of tools to accomplish business goals. Because of that, they make it possible to add or subtract common APIs, such as popular CRM or debt collections tools. In so doing, they cut down on the number of applications needed to get a job done, increasing productivity and potentially decreasing agent frustration. Time to deployment should also factor into your purchasing decision. Customizing a solution or adding integrations (APIs) will always increase time to deployment. However, that time can be more or less depending on your choice of on-premise or cloud. An on-premise solution often takes longer because it requires far more physical infrastructure concerns and setup. Besides licensing costs and deployment concerns, stakeholders may raise questions about data visibility and accessibility. Some will urge for an on-premise solution because there is a certain feeling of security knowing the data physically exists just feet away. Others will raise concerns about accessibility in locations with limited bandwidth, arguing that on-premise software with remote VPN capabilities is better than a cloud-based one. The on-premise solution for data storage can mean limited access to external attacks—someone on-site can pull the plug. However, the same vulnerabilities exist in terms of wired and physical attack vectors, whether your data storage is remote or on-premise. Finally, deciding between an on-premise solution or a cloud-based contact center requires thinking about unexpected costs. Some of these were hinted at earlier. Bandwidth, for example, can get expensive when trying to operate everything on-site. Phone lines come in bundles with landline phone subscriptions—not fun when you only need a single new seat added to your bullpen. In addition, on-premise solutions can involve extra hardware and IT support. They could even increase your utility bill. Cloud-based solutions typically feature little, if any, of those surprise costs. As a result, you keep costs at the absolute minimum, paying only for what you need when you need it. Many factors go into choosing between an on-premise contact center and a cloud-based one. Let us help you weigh them. Get started by scheduling a demo today.